As the court martial of Army Private First Class Bradley Manning got underway Monday, prosecutors argued that the former Army intelligence analyst "knowingly gave intelligence to the enemy" when he leaked 700,000 U.S. government documents to Wikileaks. Manning's defense attorney did not deny that his client had leaked the documents but did so because he was "young, naïve and good-intentioned". The release of the documents has been described as the most extensive leak of classified information in U.S. history. In the three years since first being detained during a combat deployment to Iraq, the former Army intelligence analyst has become a cause célèbre for civil liberties and anti-secrecy advocates who consider him a whistle-blower. The court-martial for Manning, 25, is taking place at Fort Meade, Md., north of Washington D.C and is expected to last three months. The most serious of the 22 charges Manning faces is aiding the enemy for which Manning could face life in prison if convicted. The additional charges include wrongfully causing intelligence to be published on the Internet knowing that it is accessible to the enemy; theft of public property or records; transmitting defense information; fraud and related activity in connection with computers. In his opening arguments Army prosecutor Captain Joe Morrow presented detailed computer forensic evidence of Manning's computer activity that indicated he began passing along classified information to Wikileaks within two weeks of his deployment to Baghdad in November, 2009. The prosecutor said the computer evidence indicated that in following months Manning gathered information in bulk, "not onesies or twosies…these were massive, massive downloads." Morrow said the information gathered by Manning was of "great value to our adversaries and in particular to our enemies." Morrow said Manning "knew the consequences of his actions" as he "literally dumped that information onto the Internet in the hands of the enemy." Morrow presented chat logs of Manning's contacts with Wikileaks founder Julian Assange about some of the information that was released to his website. In particular he tried to link Manning's computer searches with a "most wanted" list of items the anti-secrecy website had published in 2009. Assange has not been charged in the case. 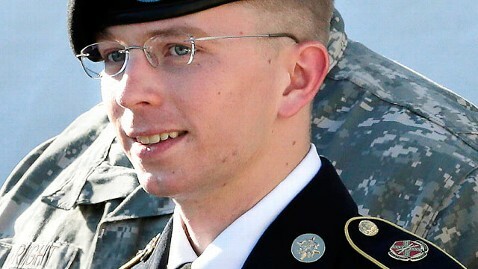 In his arguments David Coombs, Manning's attorney, described a young naïve soldier who decided to release the classified documents he had access to "because he thought he could make the world a better place." He said from among the "literally hundreds of millions of documents" Manning had access to he chose the documents he released not because of Wikileaks' most wanted list but because "he believed this information needed to be made public." "He was young, naïve, good intentioned," said Coombs. Challenging the prosecution's narrative Coombs pointed to a roadside blast on Christmas Eve, 2009 as being the prime motivator for Manning's leaks. Coombs said that for Manning the good news that colleagues had escaped injury in a roadside blast that night was offset by the fact that a car carrying five Iraqi civilians took the brunt of the blast, killing one. The defense attorney said Manning was transformed by incident because "he couldn't forget the lives lost that day" and "led him to feel that he needed to do something…to make a difference in this world." Ultimately he said Manning began to look for information that he could make public. In doing so Coombs said Manning purposefully looked for information that he believed "could not be used against the U.S. "
He said Manning leaked hundreds of thousands of battlefield reports from Iraq and Afghanistan out of a belief that "the American public should know what is happening on a day to day basis" in the two countries. He said Manning's research indicated the reports did not include intelligence sourcing, were historical in nature and did not contain information about future operations. He said Manning first became aware of the 250,000 diplomatic cables he leaked when his supervisor urged his team to use them in their intelligence reports. Coombs said Manning found State Department regulations which said most of the cables were unclassified. He said Manning felt the documents were important because they "showed how we deal with other countries." In February, Manning pleaded guilty 10 lesser charges that carried a 20-year prison sentence. At a pre-trial hearing, Manning read for an hour from a 35-page statement in which he explained his motivations in releasing the classified documents. He said he had wanted "to spark a debate about foreign policy" and show "the true cost of war." Army prosecutors decided soon after that they would continue to pursue prosecution for the most serious charges against him. After opening arguments prosecutors began the procession of nearly 140 witnesses who will be called to testify for the case. On Monday, several Army criminal investigators were called to testify about the evidence they recovered from Manning's quarters and workspace in Baghdad, including contacts with Wikileak's Julian Assange. Specialist Eric Baker, Manning's roommate in Baghdad also testified that Manning spent most of his free time on his laptop. Prosecutors will try to prove that Manning's leaks aided the enemy by calling as a witness a Navy SEAL who participated in the raid that killed Osama bin Laden. They say that copies of the documents Manning leaked to WikiLeaks were found on the computer hard-drives recovered by U.S. special operations forces during the raid. That portion of the trial will likely be closed to the public and the media. Now being held at the military prison at Fort Leavenworth, Kansas, Manning's initial detention at the Marine brig at Quantico, Va., became the subject of controversy. Supporters claimed the conditions of his detention there had amounted to cruel and unlawful punishment, which his attorneys said merited dismissing the case against him. After a lengthy pre-trial hearing, the judge in the case found there was validity to some of the allegations and reduced his potential prison sentence by four months. Sunday night Coombs posted a statement on his website thanking supporters for their financial support and for raising awareness of the case. "On behalf of both myself and Pfc. Manning," he said, "I would like to thank everyone for their continued support over the last three years."